Ans. IBPS bank clerk job ke liye sirf ‘graduates’ eligible hai apply karne ke liye. Iss post ke liye graduation degree holders (bachelors degree) recognized institute se complete karna zaruri hota hai. Q.3) kya IBPS bank clerk exam 2019 ki official notification aa chuki hai? Ans. No, abhi tak official notification nahi aayi hai. September 2019 mein aa sakti hai. Ans. IBPS bank clerk ka application form aur exam dono online hota hai. Offline form kahi bhi nahi bhare jaate. Q.5) Kya IBPS clerk post ke liye work experience zaruri hai? 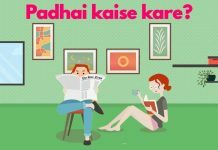 Q.6) Kya IBPS clerk ka exam sirf Hindi mein hota hai? Q.7) IBPS bank clerk ki taiyari ke liye general knowledge ke liye kaunsi best book hai? Q.8) IBPS ke andar kaun kaun se banks aate hai? Q.9) Kya clerk ki vacancy ke liye ek se zayda state se apply kar sakte hai? Ans. Nahi, IBPS clerk ki post ke liye ek candidate sirf ek state se apply kar sakte hai. Q.10) IBPS clerk exam mein Local language test pass akrna zaruri hai? Ans. Yes, IBPS clerk mein Local language Proficiency Test pass karna zaruri hai. Agar aapne kisi district ke liye apply kiya hai aur aapko uski local language ache se nahi aati to aapka selection nahi hoga. Institute of Banking Personnel Selection (IBPS) Reserve Bank of India (RBI) dawara sathapit ki gayi ek agency hai jiska kaam hota hai sarkari banks k lie candidates ko select karna. IBPS sare Public sector, Regional Rural banks aur kuch Private bank k liye selection karta hai. IBPS Common Recruitment Process (CRP) clerk ka selection karta hai. IBPS bank clerk kya hota hai? 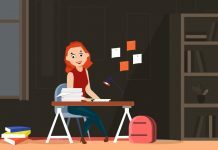 Clerk vo hote hai joh bank k day-to-day activities handle karte hai jaise ki documents ki filing karna, customers se baat karna, office administration se related kaam karna. IBPS clerk ki 2018 mein 7883 (all over India) vacancies aayi thi clerk posts ke liye sabhi SBI branches mein. 2019 ki official notification abhi nahi aayi hai. Abhi IBPS Clerk 2019 ki notification nahi aayi hai. Jaise hi aayegi yaha dates update kardi jayegi. 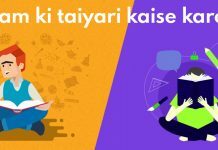 IBPS bank clerk bharti 2019 ki application kaise bhare? Abhi IBPS Clerk 2019 ki notification nahi aayi hai. Jaise hi aayegi yaha update kardi jayegi. “APPLY ONLINE FOR CLERK” par click kare aur Online Application Form bhare. Basic information fill karne ke baad ‘Register’ kare. Candidates ko bahut dhyan se saari details fill karni hogi. Apne certificates ke according ki details bhare kyunki agar aapki koi bhi detail aapke diye gaye documents se match nahi hui to aapki application cancel kardi jayegi. Registration successful hone ke baad system ek provisional registration number aur password generate karega screen par aur via Email & SMS ke through bhi aapke registred email ID aur phone number par bhi same details send ki jayegi. IBPS bank clerk recruitment 2019 mein kaunse banks hai? *Upar diye gaye private banks ke alava, har private bank apna recruitment process khud karta hai. IBPS clerk ke liye recruitment process 3 phases me karta hai. IBPS sabhi banks ke liye Common Recruitment Process (CRP) karta hai jiske through IBPS ke andar sabhi banks ke liye clerk ki recruitment kari jaati hai. Phase 1 Preliminary Examination: Ye phase 1 hota hai jisme objective test (MCQ) hota hai. Phase 2 Mains Examination: Ye phase 2 hota hai jisme objective (MCQ) test hota hai. Phase 3 Local language Proficiency Test (LPT): Ye last phase hota hai jisme state ki language proficiency test ki jaati hai. 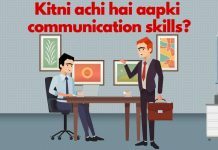 Joh candidates Mains exam clear karte hai vo final round k lie jate hai – Local language Proficiency Test. Niche diye gaye documents ka aapke pass hona zaruri hai agar aapka selextion ho jaata hai. (iv) Mark-sheets & certificates for Graduation or equivalent qualification etc. Proper document from Board / University for having declared the result on or before 10.10.2018 has to be submitted. (v) Caste Certificate issued by the competent authority as stipulated by Government of India in the case of SC / ST / OBC category candidates. Candidates belonging to OBC category but coming under creamy layer and/ or if their caste does not find place in the Central List are not entitled to OBC reservation. They should indicate their category as General in the online application form. (viii) Candidates serving in Government / quasi govt offices/ Public Sector Undertakings (including Nationalised Banks and Financial Institutions) are required to produce a “No Objection Certificate” from their employer at the time of joining, in the absence of which their candidature will not be considered and travelling expenses, if any, otherwise admissible, will not be paid. (x) Persons eligible for age relaxation under II (6) must produce the domicile certificate at the time of joining/ at any stage of the subsequent process from the District Jurisdiction where he / she had ordinarily resided or any other authority designated in this regard by the Government of Jammu & Kashmir to the effect that the candidate had ordinarily domiciled in the State of J&K during the period from 01.01.80 to 31.12.89. (xi) Persons eligible for age relaxation under II (7) must produce a certificate from the District Magistrate to the 9 effect that they are eligible for relief in terms of the Rehabilitation Package for 1984 Riot Affected Persons sanctioned by the Government and communicated vide Ministry of Finance, Dept. of Financial Services communication No.F.No.9/21/2006-IR dated 27.07.2007. (xii) Persons eligible for age relaxation under II (8) above must produce an affidavit/ certificate in support of their claim of belonging to Regular employees of the Union Carbide Factory, Bhopal retrenched from service (Applicable to Madhya Pradesh state only) category.